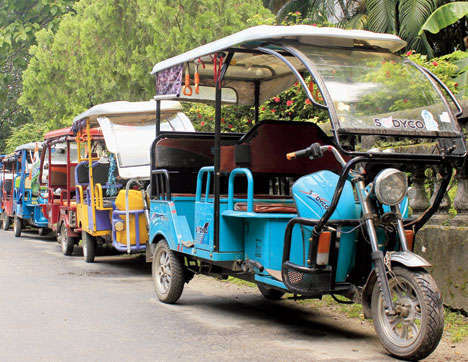 Siliguri: Battery-operated rickshaws or totos will not be allowed to operate on prominent streets and roads of Siliguri from August 1,. The decision to curb traffic congestion in the town was announced by the Regional Transport Authority of Darjeeling at a meeting with toto owners at the Kanchenjungha stadium here on Wednesday. RTA officials said it would soon be made mandatory for toto drivers to wear uniforms and run vehicles only on specific routes. Siliguri and the surrounding areas have around 3,000 totos, over 90 of which are driven by women, administrative sources said. "It has been decided that from August 1, none of the totos will run on Hill Cart Road, Sevoke Road, Bidhan Road, Burdwan Road and Station Feeder Road. The vehicles can operate on other roads of Siliguri. The administration will soon fix routes for these vehicles and each would be assigned a route," Krishna Pal, a member of Darjeeling RTA, said after the meeting. Several toto owners and drivers were present at the meeting. They were apprised of the new rules and restrictions. "From September 1, those driving the totos, will have to wear uniforms. Only the owners of totos will be allowed to drive the vehicles from that day," said an official who was present at the meeting. Sources said the totos were adding to the traffic congestion on major roads here. "These vehicles move in an unrestricted manner as there is no specific route. During the rush hours, these vehicles slow down the speed of traffic on main roads. That is why it has been decided to implement new rules," added the official.